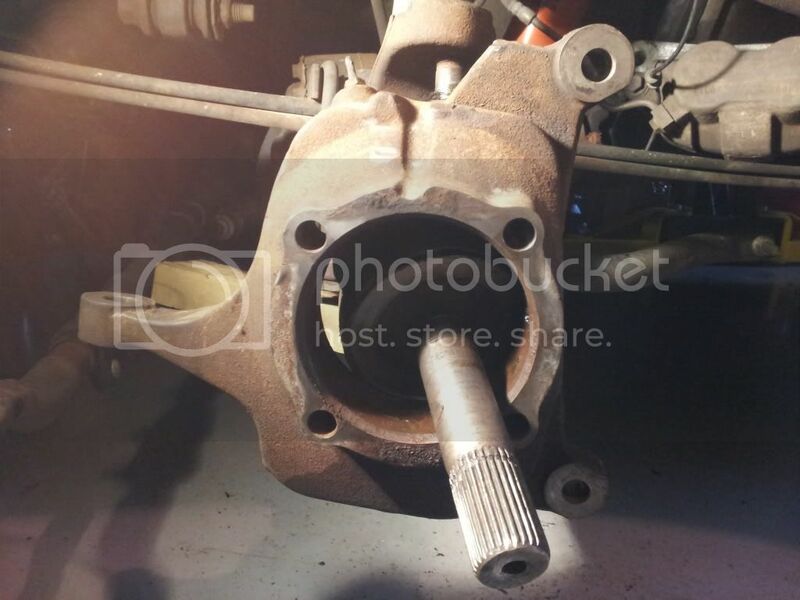 URGENT help needed - front axle shaft seized during balljoint removal- how to remove? Please help a newbie! I will be indebted to you and will do anything! I'm not new to wrenching but had never touched a full size truck much less my new to me 2000 7.3 Exc. I bought it needing the front left lower balljoint replaced and after a little research it seemed very straightforward. Now the excursion is stuck on a jackstand in a place it can't stay, I can't put it back together due to the axle problem, so I can't get it to my shop. I have to fix it today! Absolutely everything was down to the last step (step 1 in the pic below) - simply "slide" the axle shaft out of the hub/knuckle so you can undo the two nuts holding the ball joints to the axle housing. Well, the axle is free and slides out about 1/2", then stops. I "lightly" tapped it with my brass hammer - for about 20 minutes. Then I abruptly beat on it. Then I had to get out my 4lb hammer. Absolutely nothing will help me slide it out. Eventually I just removed the 2 balljoint nuts and the knucke is free but still can't remove because the axle will not come out. Can anybody clue me in what I'm doing wrong here? Please help me get back on the road!!! Well, I got it. Hopefully this thread helps somebody else in the future - my axle seal retaining ring was caught on a "lip" of corrosion (the only explaination I can offer) so it wouldn't slide out, only in. 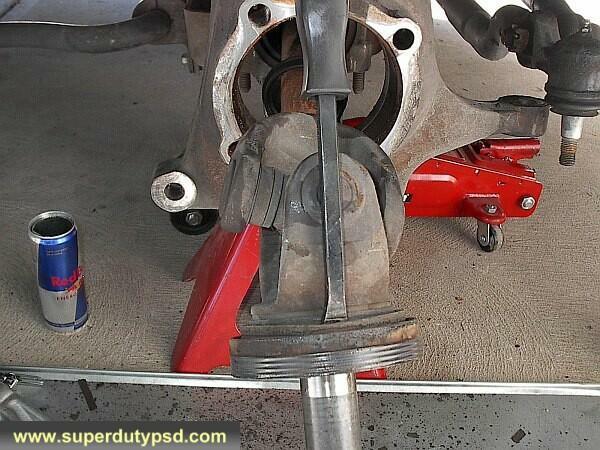 This made removing the knuckle with the axle in impossible with the balljoints in the way. 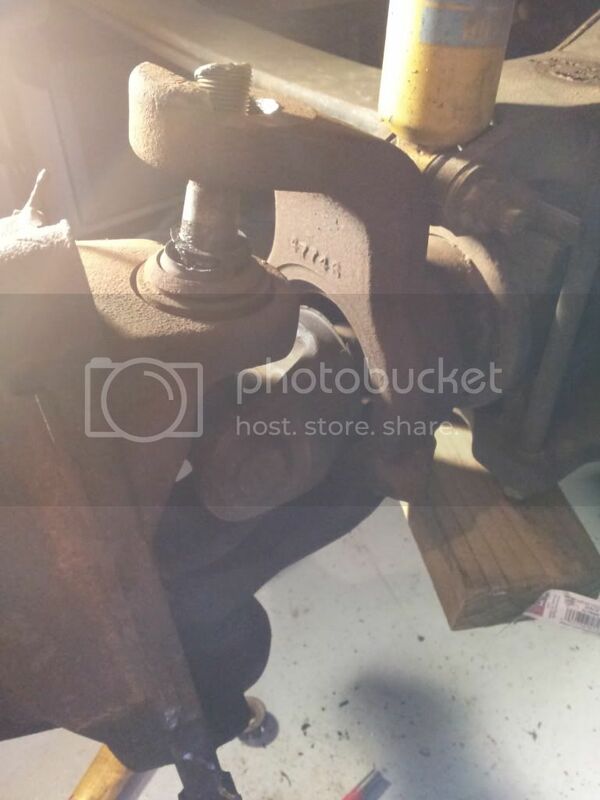 I cut the top of the upper ball joint off, was able to remove the knuckle, then the axle slid out like butter. Well, I for one am glad you got it and appreciate the pics and info for the day I'll need to mine. I've never done a 4x4 front end before but know it's one of those thing's I'll need to do. Thanks. Usually you have to ruin that big seal from the axle side by hitting it with a screw driver and hammer if the seal has been in there for more than 6 years...You need a new seal.. Ya you just push the seal out from the rear with a bfscredriver. no way to save the seal..they get stuck in there after a month or so. 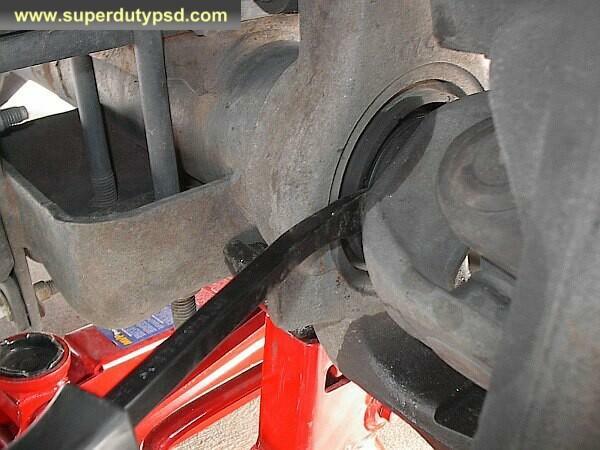 Quick Reply: URGENT help needed - front axle shaft seized during balljoint removal- how to remove?